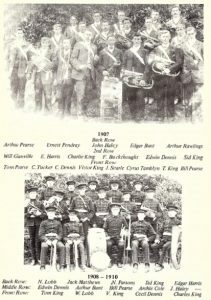 Founded in 1866 as the St. Pinnock Temperance Band of Hope, St. Pinnock Band is one of the oldest surviving brass bands in Cornwall. Drawn mostly from the workers of the Lead mines and Gunpowder mills in the area, the bands first members wore as a uniform just a peaked cap and a Blue sash, the latter to show they had all taken “the pledge” to renounce the “Demon Drink”. Current band members are mostly grateful that neither the cap, nor pledge are required today. 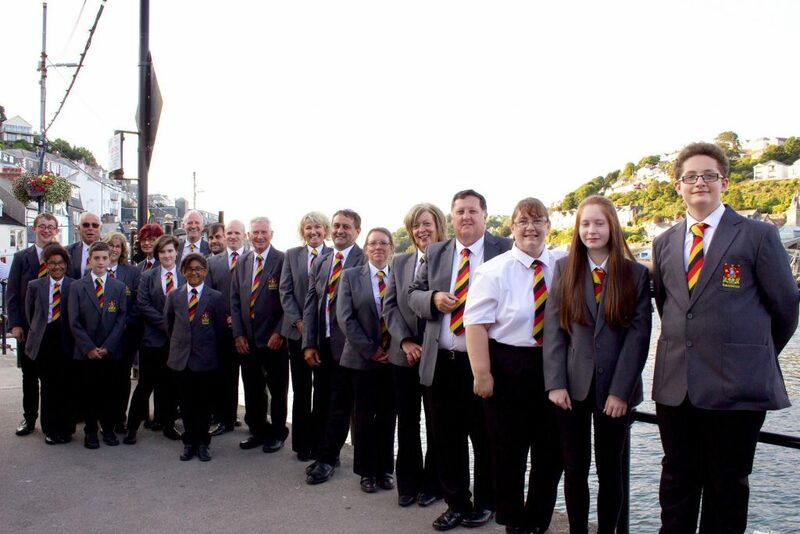 The band appears for the first time in its new uniform at the 2018 summer concert series – Music at the Quayside – in West Looe. 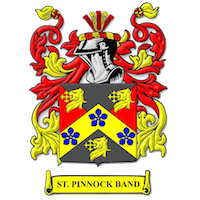 Like many bands around the country, St. Pinnock has enjoyed both highs and lows in its long history, but with the recent appointment of musical director Colin Hudson, an influx of new players – both young and old, and the acquisition of a smart new uniform, kindly donated by the band’s president, Dave Tamblyn, this band is definitely on the rise.